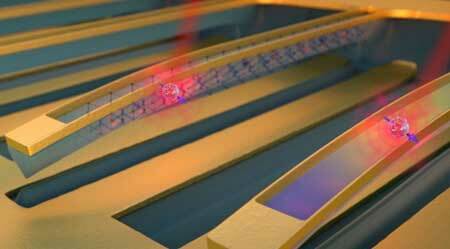 (Nanowerk News) A quantum internet promises completely secure communication. But using quantum bits or qubits to carry information requires a radically new piece of hardware – a quantum memory. This atomic-scale device needs to store quantum information and convert it into light to transmit across the network. The research is published in Nature Communications ("Controlling the coherence of a diamond spin qubit through its strain environment").